So I must confess that I am not as prepared for an emergency as I would like to be. In fact that is one of my resolutions this year. You would think with the natural disasters and not so natural disasters that I and my have lived through, you would think I would be the queen of preparedness and on top of it all. I grew up on the east coast where we dealt with tornados, hurricanes, and snow that knocked out power for days. Our family even had our house burned down by some not so nice burglars that were not satisfied with just robbing us. Move here to the west coast and we have experienced earthquakes and some major rain that lead to not nice indoor pools…at least they were shallow. You would think I would be prepared. But I’m not. My desire for preparedness happen at an event where Earthquake Solutions CEO April was speaking regarding the need to be prepared here in Southern California with the ever present threat of a severe earthquake. She made some valid points that got me thinking. So I made the first steps of visiting with her and having her evaluate our home. She was able to give me an evacuation plan, a great place to store water where it would be accessible, and ideas of potential problem areas. I left her with two emergency backpacks, two car side packets and one 50 gallon water storage container with purifier. Go home and that was it. My husband and I bought our current home that you have seen DIY fun remodeling projects and the thought of being prepared for emergencies where a thought but shifted to the back burner. Cue a series of events that brought emergency preparedness to forefront. I already asked the question “What do you do when you are asked to evacuate?” previously when after two earthquakes and mountains on fire in the first few weeks put the sense of urgency in me. Now, I’m going to take a more in-depth look at being ready for an emergency. There are so many resources available both online and offline that it can get confusing. So I decided to filter and synthesize my research into hopefully what will not only be helpful to me and my family but you and yours. In doing this, I discovered a couple of things to consider. First, this is a daunting task. Take your time and break down each individual task. If you are building an emergency binder, don’t feel like you have to complete it all in one sitting. Break it up into sections. The old saying you can eat an elephant one bite at a time. This is definitely the case with emergency preparedness. It does not matter that it takes a while, just that it get done. Second, procrastination is the death of good intentions. So you are breaking it up…great! That’s a smart way to get it done. When things are overwhelming, we seem to put them off. But the key to getting them done is to keep going until it is done. Make a schedule and stick to it. Maybe it’s one thing everyday, every other day, or maybe every weekend. Whatever the schedule, stick to it. You will be so glad you did. It will be worth the hard work. Remember if you don’t start, you will be in the same place a year from now. Looking forward to this. I definitely need it, and right now all I see is the poor elephant, not the tasty bites, lol. 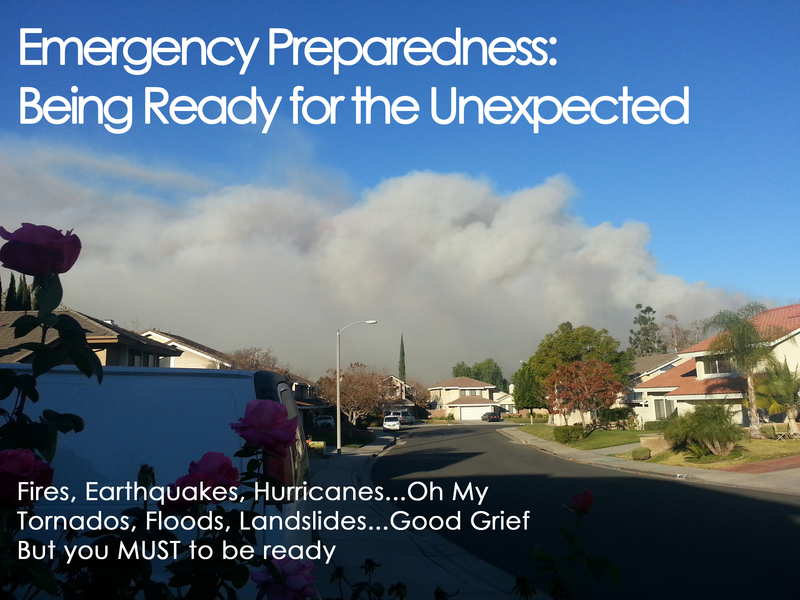 Pingback: Emergency Preparedness: The Emergency Binder | Wife, Mom, House...Oh My!